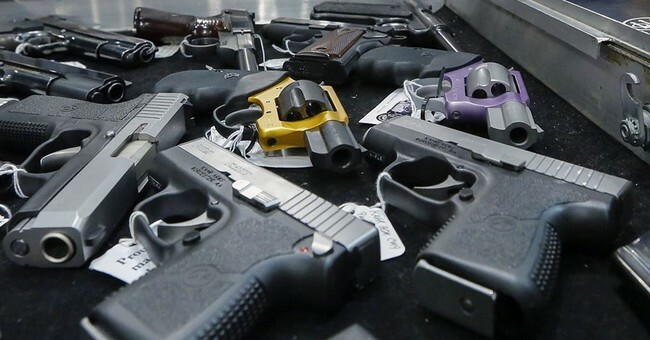 One year ago today, The Washington Post published its “Hidden Life of Guns” article exposing how under-regulated gun sales along the Mexican border were sending firearms into that country feeding its crime and instability. The paper’s four-reporter team operated as full-partners of the Bureau of Alcohol, Tobacco, Firearms and Explosives PR department receiving internal statistics, documents and even an interrogation video. One of the two gun stores were correctly singled out by the Post: Lone Wolf in Arizona and Carter Country in Texas. But, one year later, we know it was for the wrong reasons. The charges were ignored by The Washington Post and everyone else, and would have stayed ignored, if not for the events of the following night. During the overnight of December 14 into 15, an AK-47 sold to a straw purchaser with the blessing of the ATF at the Lone Wolf gun store was used in the firefight that cut down Border Patrol Agent Brian A. Terry. Within a few hours, four men who fired upon Terry were wrapped up, while a fifth was tracked down the next day in a manhunt that included federal agents on horseback and in helicopters. Within 24 hours of Terry’s death, federal officials had traced the AK-47 to Fast and Furious. Behind the scenes, ATF and other federal agents aware of the gun walking program called Operation Fast and Furious, staged a mutiny and the operation was shut down. In the next week, two cabinet officers visited Arizona, Atty. Gen. Eric H. Holder Jr., for the funeral and Homeland Security Sec. Janet Napolitano, to meet with members of Terry’s special tactics unit, known as BorTac. Holder’s Justice Department oversees the BATFE and Napolitano’s department includes the Border Patrol. By Napolitano’s December 18 visit, both she and Holder, who both were aware of Fast and Furious, knew that Terry was killed with a Fast and Furious AK-47. They were both fully briefed on Fast and Furious, and though the operation was still a secret, they had both touted in public speeches the overall program it was a part of called Operation Gun Runner. Burke also saw to it that the Terry case was sealed and all press relations were handled through the local FBI office that he controlled rather than through Border Patrol public information officers. One year later, the Post has published the obligatory articles about Fast and Furious, and the various hearings and shuffling of personnel. But, it may not get the Pulitzer it was gunning for when it launched its blowout expose on the wrong side of the story. The poor Carter County clerk, whose indictment for facilitating illegal guns sales the paper celebrated as validation of its crusade, had all charges dismissed—lest he explain in court what really happened. Holder and Napolitano have weathered the storm and still enjoy the confidence and support of the President. But, Burke has resigned and awaits what other shoes may drop. One year ago today, we had no idea that the Obama administration was funneling guns to Mexico at the same time it blamed under-regulated gun sales for destabilizing our neighbor to the south. We have learned many of the details in the last year, but there is still so much that does not make sense or add up. Most troubling of all, if Terry knew the full extent of what his government was doing, the 6-foot, 4-inch former Marine and Iraq veteran might have had a better chance.